17" R1R to NT01 side by side - Miata Turbo Forum - Boost cars, acquire cats. OK, this may only have relevance to the NC / ND crowd, but I thought it was interesting. 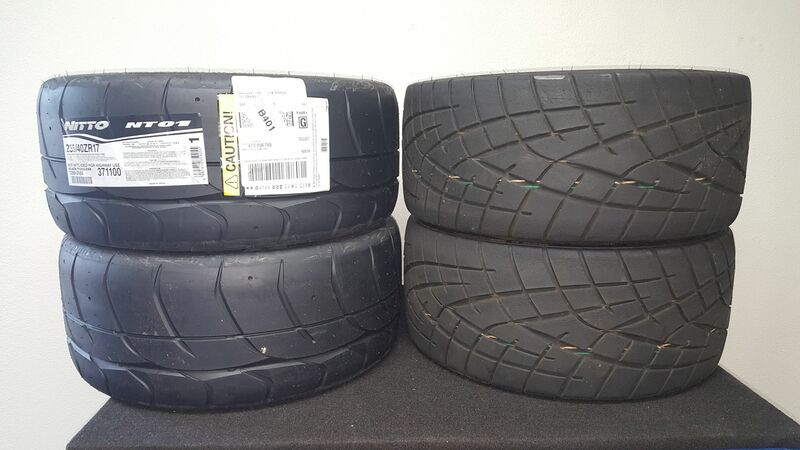 Pictured is a set of 245/35-17 Toyo R1R's next to a set of 235/40-17 Nitto NT-01's. Same width! I've never ever used the NT01's before, but these suckers are so sticky I feel like I could palm them like a basketball. OK, I can't palm a basketball but you get the idea.